READ: Dennis Trillo posts sweet message for Jennylyn on Instagram! FHM's Sexiest for 2015, Jennylyn Mercado may be running in third place in the latest tally released by FHM Philippines of its annual Sexiest poll, but for Kapuso actor Dennis Trillo, Jennylyn is number one. Dennis posted Jennylyn's FHM January 2016 cover on his Instagram account along with the caption "Basta para sakin ito ang number one." 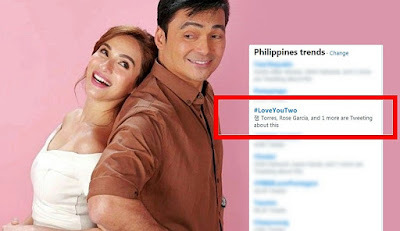 Fans quickly reacted and went gaga over the actor's short but sweet message but it was when Jennylyn replied that made the "kilig" go to the next level. Announcement of the winner will be revealed very soon but win or lose Jennylyn has already won Dennis's heart.